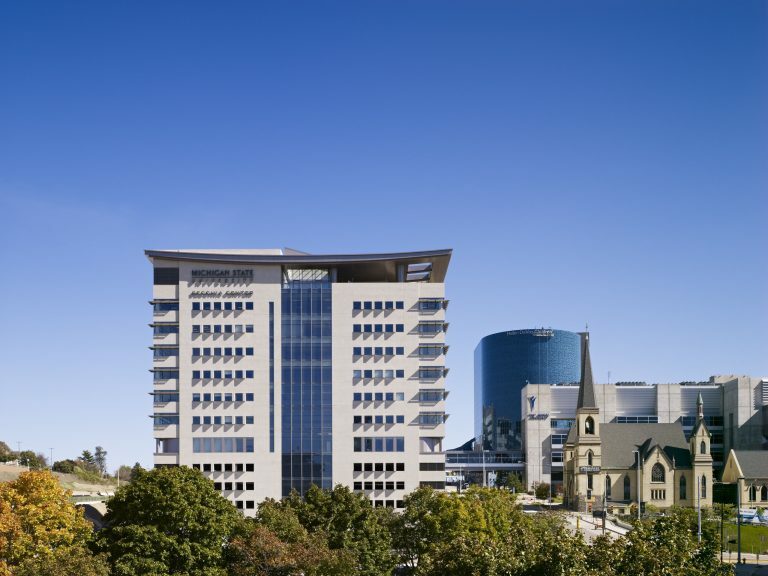 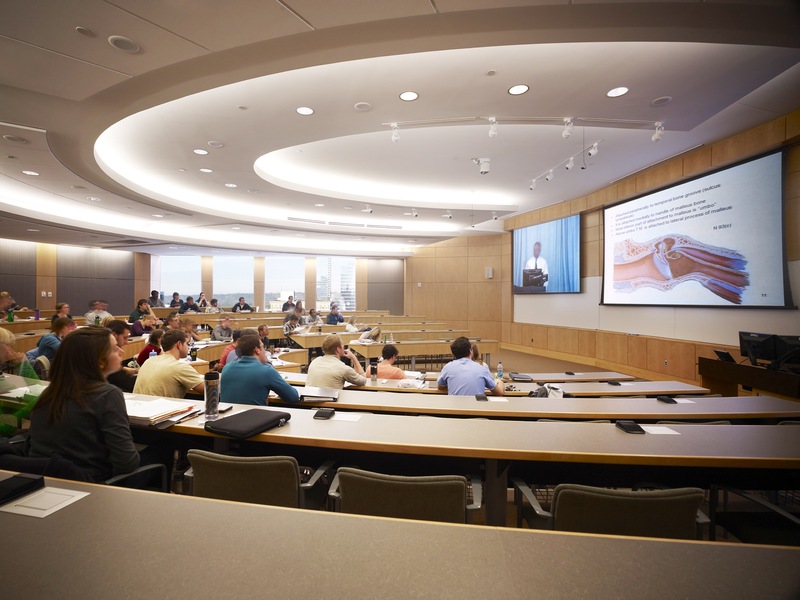 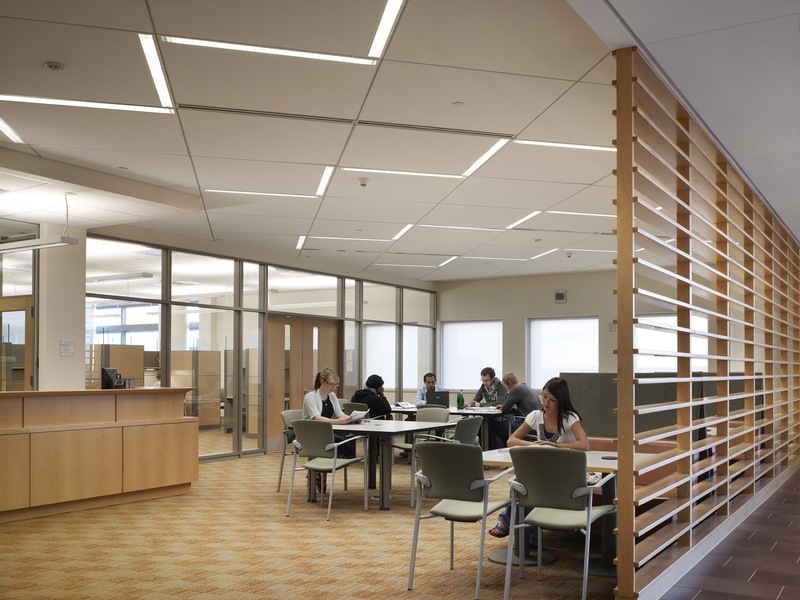 ABD Engineering and Design was brought in by URS Corporation to offer consultation in architectural acoustics, noise isolation, and building systems noise control for Michigan State University’s Secchia Center College of Human Medicine in downtown Grand Rapids, Michigan. Several acoustical challenges included: exterior noise isolation from an adjacent freeway, architectural acoustics for the large multi-level atrium, building systems noise control for the top oor mechanical room – including a floating floor, and concrete isolation pad. 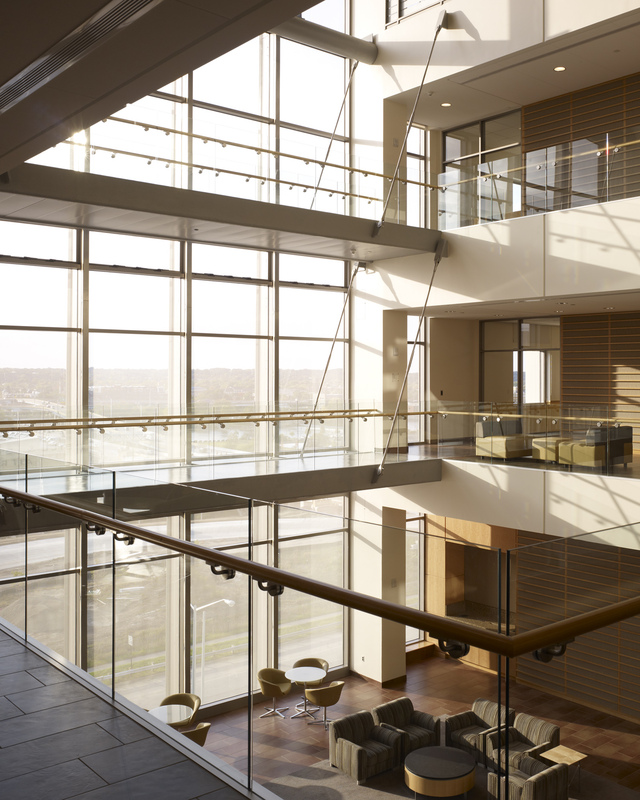 Our professional engineers used ray-tracing computer models to predict the acoustical needs of the space even before construction began. The design was acoustically optimized, cost effective, and aesthetically appealing. 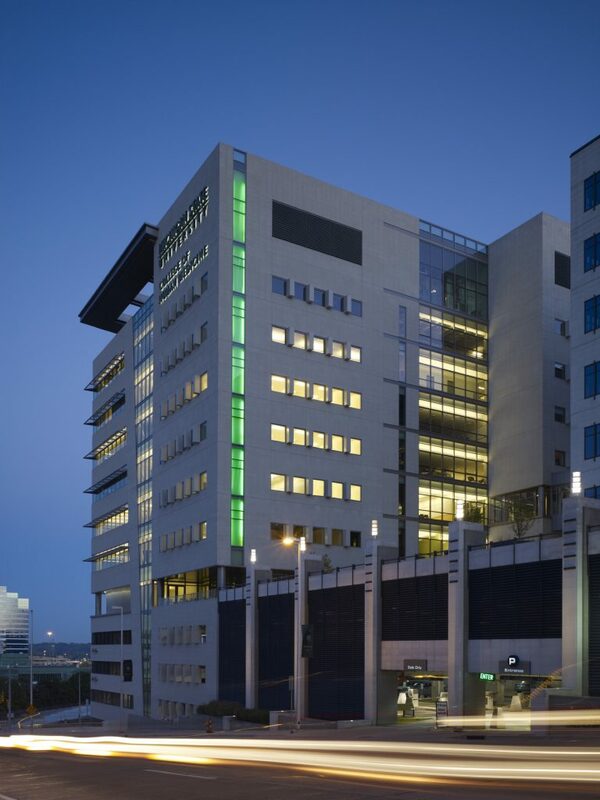 The building is optimized to conserve energy and preserve the environment. At the dedication ceremony, the building was awarded LEED Gold Certification.